One Piece leather, never split half. 1-1/2" Wide. Order one size larger than pants size. 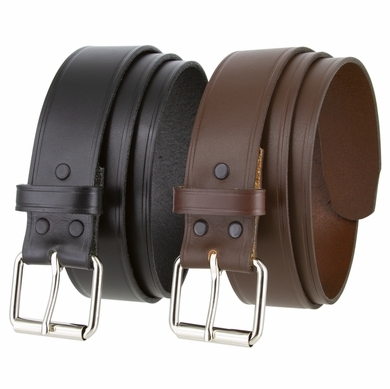 Top Grain Leather belt with subtle grooves down the sides. 1 1/2" Solid Polished Nickel Finish Belt Buckle.